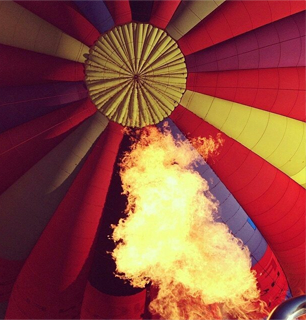 A hot air balloon is a registered aircraft, the same as any fixed wing aircraft or helicopter. 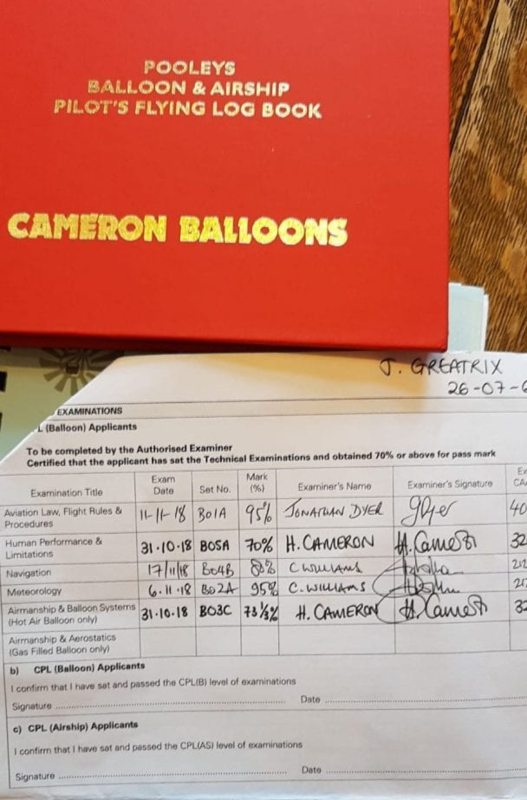 As such the person in command must hold a valid Private Pilot’s Licence issued by the Civil Aviation Authority specifically for ballooning; this is known as the PPL(B). Although anyone with average ability can fulfil the requirements for the PPL(B) outlined below, it is not an activity to be taken lightly. 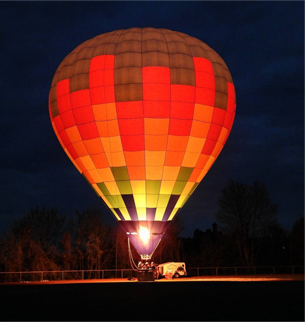 As a pilot you must be sufficiently competent at operating the balloon and have such knowledge to be able to cope with any problems or circumstances that may arise. In addition you will be responsible for the lives of the people you might carry in the basket. A minimum of 6 flights. Take written examinations in Aviation Law, Navigation, Meteorology, Balloon Systems and Human Performance. Do not be daunted. The standard required is based on common sense, not academic brilliance! The CPL(B) Restricted is required if you are undertaking work for a sponsor or being paid by an external agent to operate a balloon. You can fly a sponsored balloon with everything paid for with a PPL, but as soon as the sponsor asks you to operate a balloon at any event then you need a CPL(B) Restricted. Declaration of Health signed by your Doctor. 35 hours flight time in balloons, to include 15 hours of instruction as Pilot of balloons, 4 free flights (one to above 5,000ft) and 2 tethered flights. 20 hours as P1, of which 16 must be free flights (one with the landing at least 20km from the launch point) and 2 tethered flights. General Flight Test with a CAA recognised Examiner. The CPL(B) is required if you are flying passengers for money, or even if your sponsor wants you to fly people for him. The balloon then needs a transport category C of A (Certificate of Air Worthiness). If you are only flying sponsor’s guests and not charging money for flying other passengers, you are exempted from holding an AOC (Air Operator’s Certificate), though you do require a copy of it. For passenger flying the balloon also requires a maintenance log. 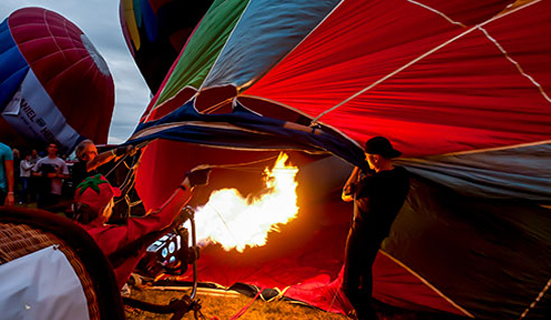 A minimum of 75 hours as Pilot in balloons. This must include the minimums identified for CPL(B) restricted in addition to not less than 60 hours as P1. Ground examinations as for CPL(B) restricted. 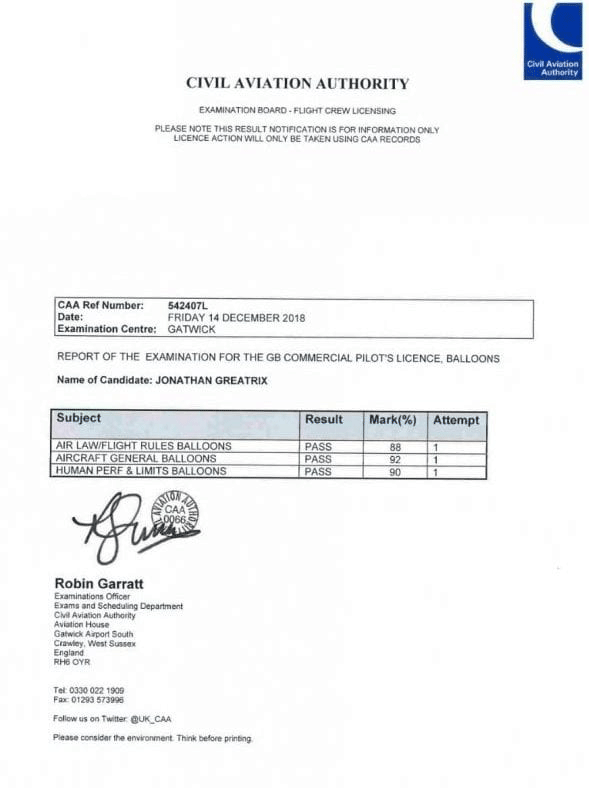 The licence you will be aiming for is called a PPL(B), which stands for a Private Pilot’s Licence (Balloons), until you are in possession of the licence documentation, passed all the theoretical exams, completed the flight training and practical examinations you are known as a 'PUT' which is an abbreviation for Pilot under Training. We carry out our pilot training in the UK and in Mondovi, Italy, where they have up to 300 flying days per annum.